On Thursday, Secretary of State Rex Tillerson said that “steps are underway” on an international coalition to force Bashar Assad out of power. Meanwhile, President Trump was being briefed on military options for Syria – though the specific steps the U.S. and its allies might take in response to the latest deadly chemical weapons attack remain unclear. Following President Trump’s remarks in the Rose Garden, which made a clear statement that Assad’s chemical attack would not be tolerated, Tillerson sternly said Russia should “consider carefully” its support for the Assad regime. 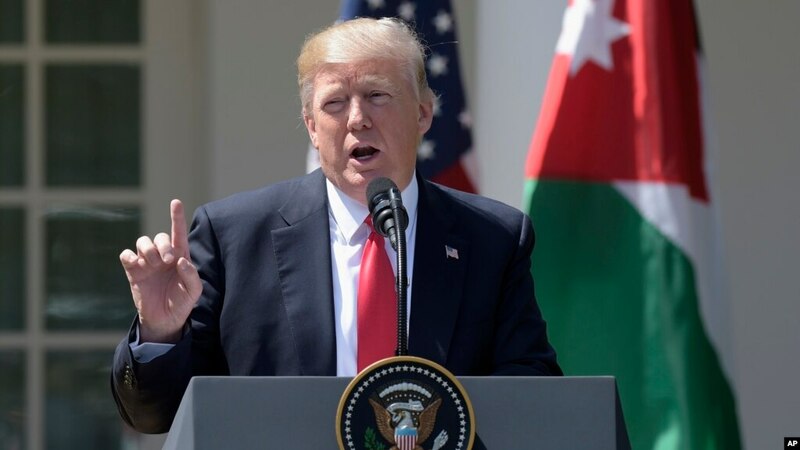 He also called for an international effort to defeat ISIS in Syria, as well as stabilize the country and ultimately work with partners through a political process that leads to Assad leaving power. For years, the Obama administration pursued a strategy similar to that described Thursday by Tillerson, which resulted in very little success. Trump has not commented on whether he would go further than his predecessor in using military force. Fox News reports that President Trump was set to receive a briefing Friday from Defense Secretary Jim Mattis and National Security Adviser H.R. McMaster on military options that could be taken in retaliation for this week’s chemical weapons strike. According to senior military officials, McMaster and Mattis traveled to Florida to attend meetings with Trump and visiting Chinese President Xi and planned to discuss possible military action Thursday afternoon. Currently, there are two U.S. Navy warships in the eastern Mediterranean which could be used to strike Syria if an attack was requested. “The message from the United States must be that this will not stand. We must show that no foreign power can or will protect Assad now. He must pay a punitive cost for this horrific attack,” McCain said. On the other hand, there are many people who want Trump to be cautious with his decision to retaliate. Skeptics such as Ron Paul and Alex Jones claim that this attack is a “false flag”, and do not want it to result in the United States entering into a war with Syria. “It doesn’t make any sense for Assad under these conditions to all of a sudden use poison gases – I think there’s zero chance he would have done this deliberately,” Ron Paul said. They argue that Assad has nothing to gain by attacking his own people. The Syrian President is finally regaining territory from ISIS after six years of bloodshed. The death toll from the attacks on Tuesday has reached as many as 72 Syrian civilians, including women and children. Goodness gracious, America; leave these damn people alone! We see what happened when we removed Sadam. We see what happened when we removed Gadaffi. And Syria, for sure, has already bit us in the behinds! Even tampering there with the influx of Isis has contributed greatly to problems in Germany, Sweden and France, and pretty soon Canada and the USA. We have no right to meddle; we have no moral obligation to do so either. Also, let’s not be so quick to pinpoint Assad as the bad guy. Last time we thought he did it, the UN found–if I’m not mistaken–that it was Syrian rebels and nothing to do with al-Assad. Even insofar as this guy is evil, at some point in history it has to be the duty of the Syrians to overthrow their own government! Same goes for the the entire region, the entire world. Colonial settlers rose up against one of the greatest empires the world has ever known! You mean to tell me that millions upon millions of people cannot rise up against bootleg royalty and throw them out? We’re saying ethnic Arabian Muslims are lesser people every time we try to step in for them, arm them, etc. It’s high time they rose up, threw out their harsh leaders, and reformed their religion. Until then, we shouldn’t lend a red cent to the effort.